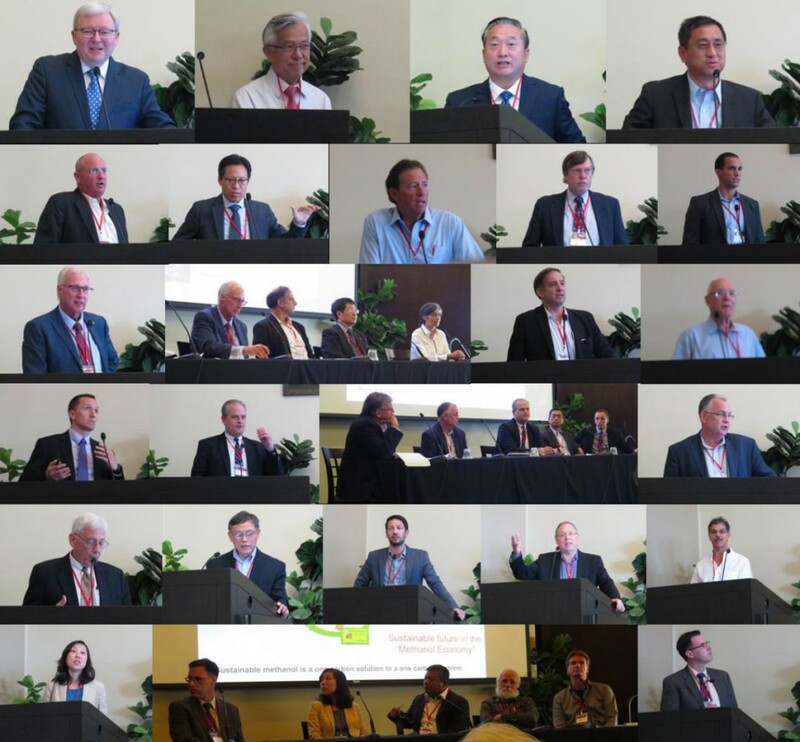 Luminaries gathered at Stanford to discuss technology, policy and economic opportunities for the development of methanol as a cleaner energy source for our sustainable future. Stanford University (July 31 – August 1, 2017) – The “Opportunities and Challenges for Methanol as a Global Liquid Energy Carrier” workshop was held at Stanford University and hosted by the Natural Gas Initiative over two days from July 31 to August 1t . 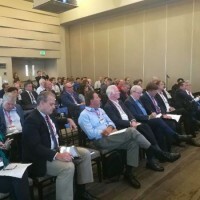 The workshop was partly sponsored by Northwest Innovation Works (NWIW) and brought together leaders from industry, academia, and policymakers, setting the stage for a vibrant exchange of ideas and experiences towards the goal of a cleaner future. The workshop was attended by nearly 100 participants from around the world including the United States, Europe, and China. The keynote speakers were The Honorable Kevin Rudd, former Prime Minister of Australia and President of the Asia Society Policy Institute, Choon Fong Shih, University Professor at the National University of Singapore (NUS) since 2013, and Founding President of the King Abdullah University of Science and Technology (KAUST) from 2008-2013, and Lebin Wu, Chairman of the Chinese Academy of Sciences (CAS) Holdings. Mr. Rudd currently works on bridging policy between developed and developing countries, particularly US-China relations. At the 2009 United Nations Climate Change Summit in Copenhagen, he brought global leaders together to focus on solutions for climate change. The work done at the Copenhagen summit became the foundation for the 2015 Paris Accord. At the Stanford conference Mr. Rudd highlighted that for new industries to become mainstream and address climate change effectively, policy support is required. Public, energy and climate policy must be integrated and share a common goal. Beyond policy, he stressed that industry would also need to march on with its financial and technical feet to realize the goal of greenhouse gas reduction. Dr. Shih shared that mitigating environmental degradation and energy sustainability are equally important. Given that non- Organization for Economic Cooperation and Development (OECD) countries have surpassed OECD countries regarding energy consumption and emissions, he stressed that any proposed clean energy solution should also be reliable and affordable. In this context, Dr. Shih presented the Liquid Sunshine technology roadmap that lays out solutions and actions that are responsive to near-term imperatives of energy security and environmental protection with the long-term goal of building a sustainable ecologically balanced energy system for the future. Chairman Wu discussed how the US and China could cooperate to lead clean technology development for the world. He spoke about the need for a tripartite cooperation among industry, innovation and capital markets to provide the impetus for change to a cleaner future. He highlighted that technologies developed by Chinese institutions to produce cleaner methanol could be combined with the rapidly growing North American gas industry and robust capital markets to produce cleaner methanol chemicals and fuels for the world. Other speakers and panellists at the workshop included Gil Danker, Chairman of Dor Group, Mike Jackson of Fuel Freedom Foundation, Chris Edwards, Matteo Cargnello and Xiaolin Zheng from Stanford, Dan Cohn and Leslie Bromberg from MIT, Jin Xianyang, Senior Chief Engineer of Geely, Michael Wang from Argonne National Lab, Marc Alvarado from IHS Markit, Paul Wuebben, Senior Director of Carbon Recycling International, Sun Yuhan, Director of Shanghai Advanced Research Institute, CAS, Greg Dolan, CEO of Methanol Institute, Mark Berggren from MMSA, Doug Cameron, Senior Managing Director of U.S.-China Green Fund, and Simon Zhang, CEO of NWIW. The workshop closed with an actionable pathway for leveraging methanol as a cleaner energy source for the future. Methanol will be made from cleaner sources today, and eventually sustainable sources in the coming years. It is a high energy storage medium that provides the essential missing piece of the puzzle for our energy system to integrate increasing amounts of renewable power towards a fully renewable energy system.